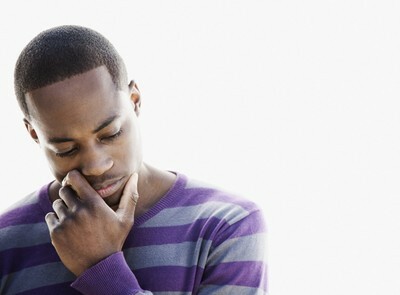 Via Essence 10 Things On the Minds of Single Men Right Now by Paul C. Brunson. That’s what I told a friend after a recent weekend where I traveled to a city I had never visited before and found, interviewed, and included 48 new single guys in my database. Where did I find them, you’re wondering? Everywhere. I visited 3 churches, 3 clubs, 2 brunch locations, 2 college campuses (libraries), 2 town centers, a basketball court, car wash, and strolled a town center. The men I identified were mostly African American, ranged in age between 23-42, and are all single (yes, we ran background checks to confirm). I know what you’re dying to know. Exactly what did I learn from my “single brotha search-find-and-interview tornado weekend?” Lots. Here are ten things on the minds of single men right now. About half the guys admitted that they had been on first dates with women in the past year who not only did not return calls for a second date, but gave them no reason for going M.I.A. Ladies, help educate these brothas by telling them why they didn’t make your cut (in some instances it could help them evolve to a better man). Do You Know How to Treat a Good Man? This was by far the most frequent comment. The vast majority of the guys interviewed felt that women (especially what they considered younger “under 35 yrs-old” women) did not know how to recognize, accept, and treat a good man. When I asked the guys to rank their top three first date deal breakers, “taking too much” came up on most of the lists.